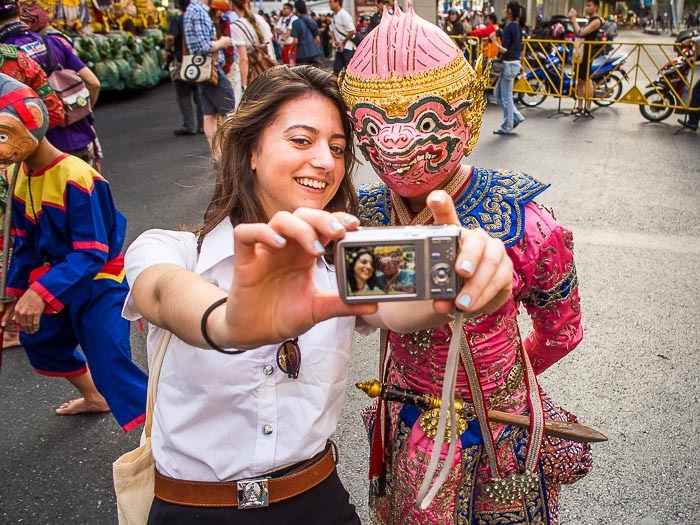 A woman takes a "selfie" with a Hanuman figure at the "Discover Thainess" parade Wednesday night. The Tourism Authority of Thailand and the Thai government are trying to kickstart the country's struggling tourist industry. The annual tourism fair, normally held in a convention center in July, has been moved to Lumpini Park and pushed up to this month. 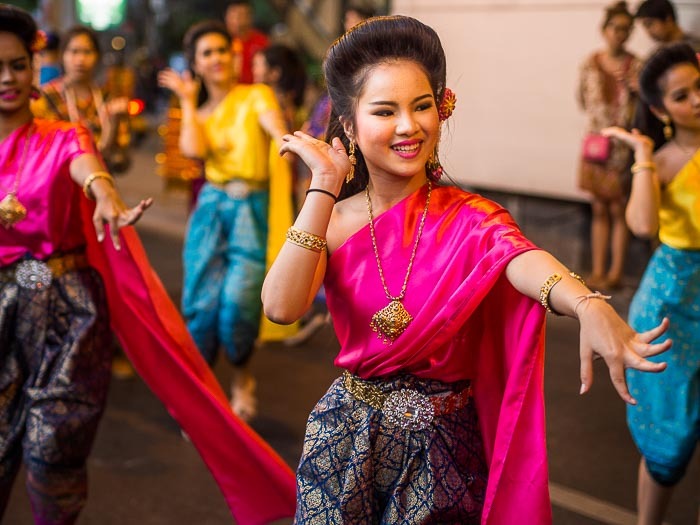 The fair kicked off Wednesday night with a parade that went from Pathum Wan, in the center of Bangkok's shopping district, to Lumpini Park, across the street from the Dusit Thani hotel and Silom, the center of the city's financial district. The parade goes up Rama I towards Phloen Chit. There were more than 30 marching units in the parade, representing all parts of Thailand. Dancers from central Thailand, oarsman from the Royal Barges, figures from Thai legends and folklore. The parade route was only 3.5 kilometers (a little over two miles) but it took more than two hours from start to finish. 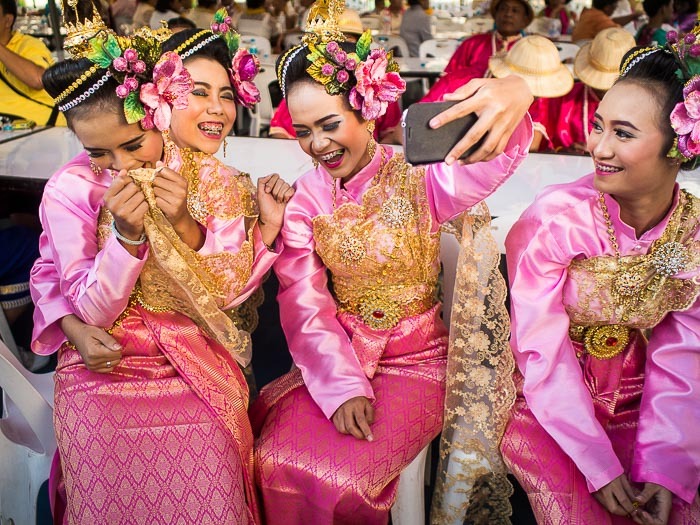 Women who performed Thai dance, take a selfie before the parade. The tourism fair continues through the weekend at Lumpini Park. 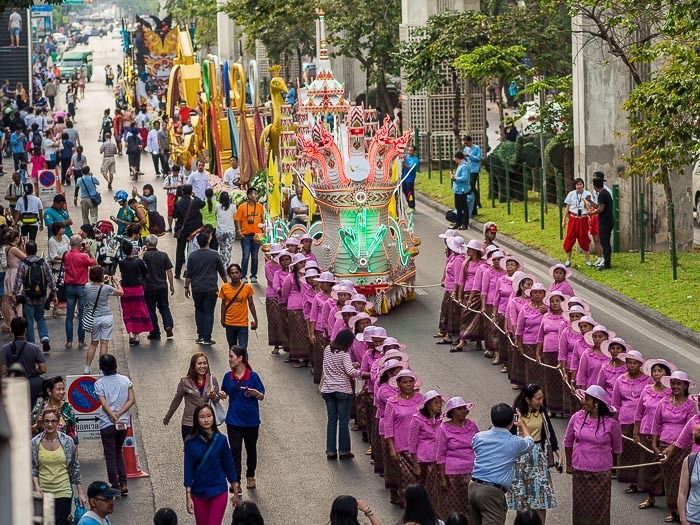 There are more photos from the Discover Thainess Parade in my archive or available from ZUMA Press.